I mentioned how the new year of Guides began, but didn’t talk about how we started the new year of Rangers/senior section. 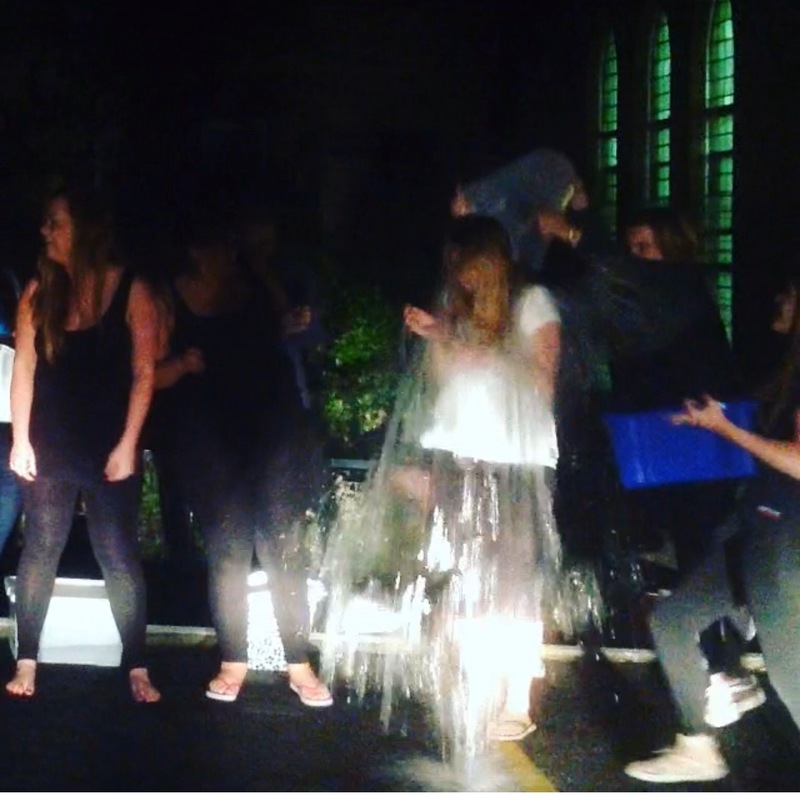 As the summer holidays came to an end, something called the ice bucket challenge was going viral on social media. A few of our Young Leaders and Rangers had done it, and I knew it was only a matter of time before I got nominated. I studied at a medical school, worked in hospitals and took care of people with serious learning disabilities during my undergraduate studies. Unfortunately it means I’ve seen a lot of rotten things. And motor neurone disease is one of the worst. I nominated my fellow leaders – and they in turn invited one of the new Guide leaders to join in and we decided to all do it together on the same night. And Senior Section volunteered (rather jubilantly) to help us. I’d come down with a cold the day before, so it wasn’t the best idea I’ve ever had (by the next day I was stuck in bed). However, it also seemed to lure two of our members who had left, back to Senior Section which was lovely. There was a lot of controversy around the ice bucket challenge – some said it was wasting water, others said what’s the big deal, some complained it was giving too much focus on one charity. 1. I don’t like wasting water, but in Scotland we are blessed with lots of water. Unfortunately it is not a resource easily ‘shared’ with countries experiencing drought. I question whether some of the water nay-sayers have ever had a water fight or filled up a paddling pool? It was a fun silly thing and I’m sure I would have gone through more extra water if I’d trained for and run a marathon. 2. As much as it was great to make a donation, for me it was about raising awareness of a disease that many people hadn’t heard of or knew much about. People diagnosed will die – it’s not like cancer where there are more people surviving. There’s no cure, there have been no scientific advances in treatment or prevention for decades. The progression is horrible and in our country the paperwork for the support needed takes so long to process and get into place there’s a gap. There are only seven specialist nurses in the whole of Scotland to cover 400 patients and their families and every single one is funded by charitable donation not NHS. 4. I do get why some people felt sharing that they had donated could be seen as narcissistic or bragging. And yes, I did share the video on facebook and show pictures on Instagram and Twitter. Again, for me it was about showing support for the guy that started it in the first place (who suffers from this awful disease) which I know is encouraging for that person and his family. (And PS – Yes, I actually do give to charities without telling you about it on social media too). So that’s why I did the Ice Bucket Challenge. And I’m glad we did. I’m hoping it’s going to help benefit those affected by Motor Neurone Disease in lots of ways. I’m also sure that in the future there’ll be more mad stuff we do to take action for communities. Because we made a promise to serve them.